3 What are others reviews saying about the Lifespan TR4000i? 4 Should I Buy the LifeSpan TR4000i Even If I’m not a Runner? 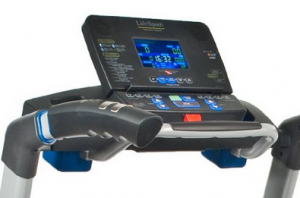 Whether you are a serious runner, triathlon athlete, or just looking to loose a few pounds then a quality treadmill is one of the best choices you can make LifeSpan TR4000i. 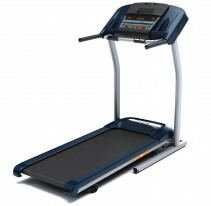 After its recent relaunch the TR4000i is probably one of the most sophisticated and advanced treadmills on the market. 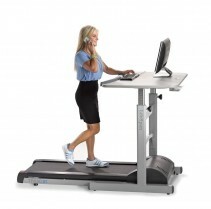 At the heart of the machine is a multi-colored LCD console, which offers a number of exercise programs guaranteed to help you achieve your personal health and fitness goals. It helps you keep track of important training metrics such as your time, calories burned, distance covered, steps taken, heart rate, speed, and incline level, and provides you with simultaneous readouts. 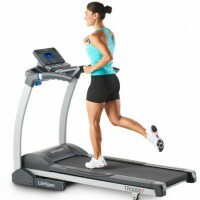 In addition to the programs, the treadmill offers two My Zone heart rate control programs and two custom programs. The My Zone Constant program is great for keeping your heart rate at a constant level while the My Zone Interval program lets you enter your own minimum and maximum heart rate. 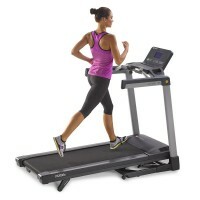 Plus, when you purchase a LifeSpan TR4000i Treadmill, you automatically receive membership for the LifeSpan Fitness Club. Membership to this exclusive club allows you to access a comprehensive online health management program, which is powered by the Interactive Health Partner, and lets you select exercise programs, track and manage your fitness and health results, and receive motivating support as you work toward achieving your goals. 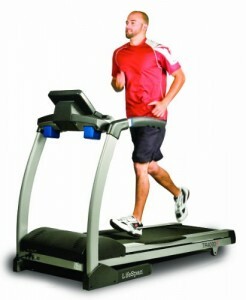 Each time you work out on the TR3000i, the treadmill automatically saves your exercise results on your LifeSpan. Because the device is easily customizable with your personal information, you receive accurate calorie calculations based on your profile. Every 20 seconds during your workout, the console will then record your heart rate, minutes, miles, steps, and calories. Aside from its enhanced capability for fitness tracking, the LifeSpan TR4000i also boasts of advanced features such as a premium sound system, with a pair of high-quality, built-in speakers and a headphone port for plugging in your iPod or MP3 player. Safety is also an important consideration in the product’s design. 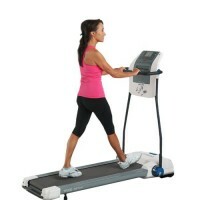 It comes with a large front safety bar that’s designed and positioned for easy access, an EZ Drop folding design that lowers the treadmill deck to the ground softly and lightly, an Intelli-Guard automatic safety pause that stops the treadmill belt from moving when no one is using the treadmill. More so, its foldable design allows you to easily move the device from one room to another. Not only is it built with functionality in mind, it is also built with the premise of long-lasting performance. It is made with premium quality steel that makes it durable and suitable for prolonged use. What are others reviews saying about the Lifespan TR4000i? 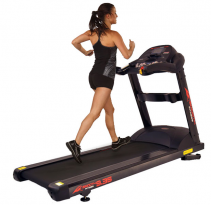 A number of top magazines have given this treadmill reviews, both Health Magazine and Runners World produced good feedback about the TR4000i. How much should I pay for the TR4000i. With the age of the internet its easy to look up prices, and we have saved you some leg work. There us a number of options, our favorite choice is to head on over to Amazon, where we find you will get the best combination of price and service. Should I Buy the LifeSpan TR4000i Even If I’m not a Runner? Even if the LifeSpan TR4000i is designed for runners in mind, it is also a great all round product for anyone looking to get their cardio workouts without leaving home. The machine is well built, strong and reliable. With both Runners World and Health Magazine endorsing it. There are other brands on the market, but for us this is the top pick. Others might pack a little more power, or a few gadgets. The TR4000i has balanced all the features to make it the best all round product at this price.